We’re on a roll this week with the hot meals. 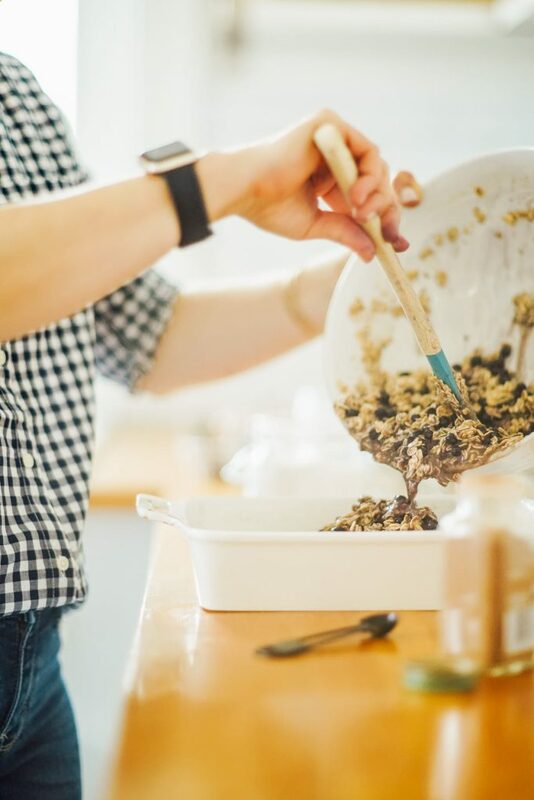 We began the week with soup and now a warm, baked oatmeal. After all, I don’t need to remind you, it’s still winter. 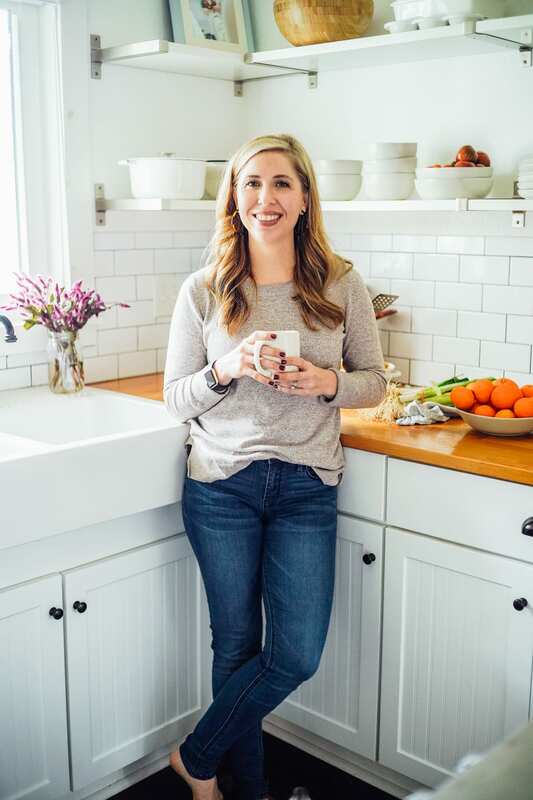 Spring is coming, my friends, but until then let me offer you a couple of warm, real food recipes that are sure to become family favorites. Because of these strong opinions and (sometimes welcomed) honesty, Dustin is one of the best taste testers and recipe approvers. He’s brutally honest, in a good way, and can detect even the slightest “off” taste. Oh how I love that man. That said, this oatmeal recipe is, surprisingly, a winner with him. Maybe it’s because the oatmeal is baked, which makes it slightly different than the stove-top version he grew up with—the version I’m slowly helping him fall in love with. <–It’s a slow process. 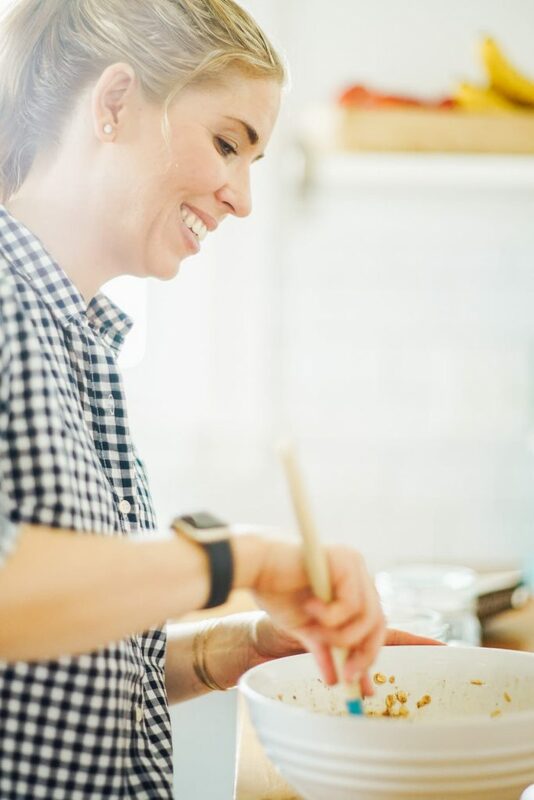 As we’ve talked about before, there are multiple ways to enjoy real ingredients. Just because you don’t care for one way at the moment, doesn’t mean you don’t like that ingredient. This pancake recipe is another great example of how oats may be enjoyed beyond a traditional oatmeal. This applies to veggies, fruits, meat, and just about any and every real ingredient out there. 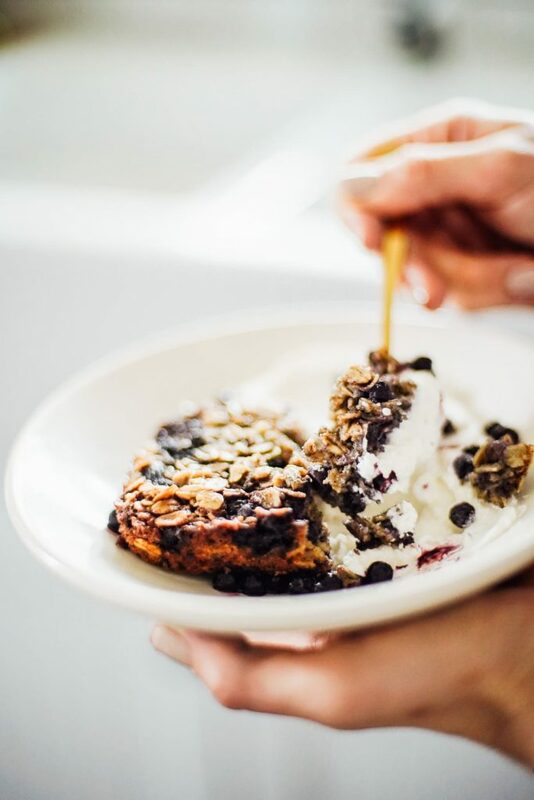 While this recipe was tested and written as a baked blueberry oatmeal, the seasonal possibilities are endless. You could use chopped apples or banana slices, or try nuts or seeds, or maybe peaches. 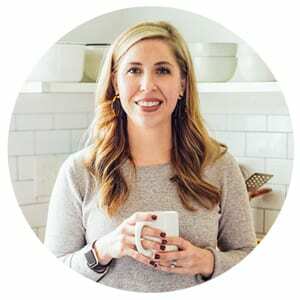 I think it will be fun to experiment with this recipe throughout the year. I would love to hear what version becomes your family’s favorite. 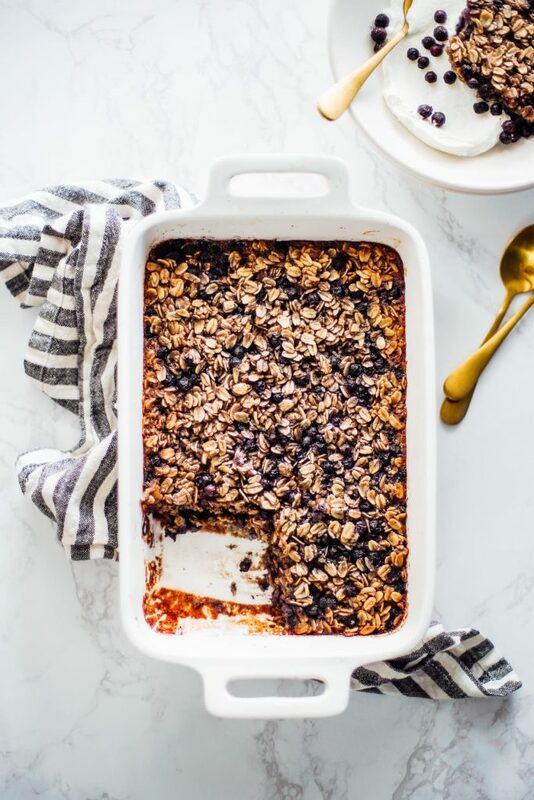 An oven-baked oatmeal with blueberries, or the seasonal fruit of your choice. Make this oatmeal in advance to enjoy for breakfast throughout the week. Preheat oven to 350F and grease a 9-inch square baking dish with butter or oil. 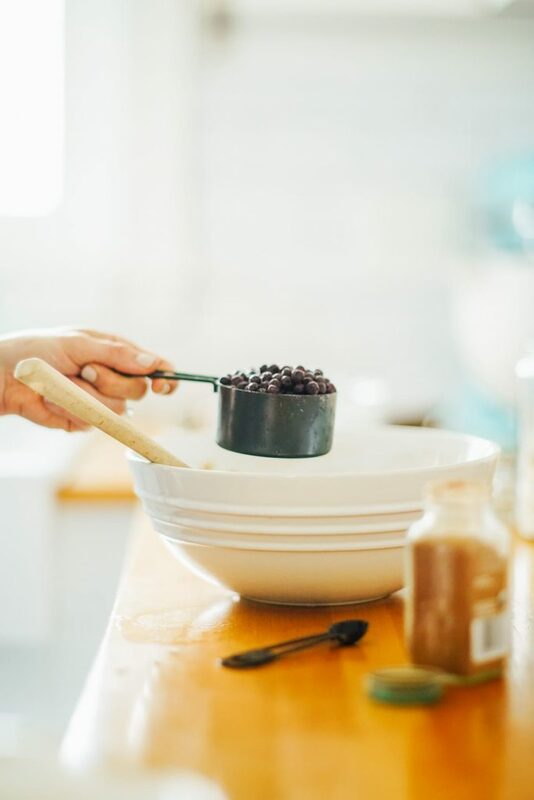 Combine the dry ingredients in a large mixing bowl: oats, baking powder, cinnamon, and salt. 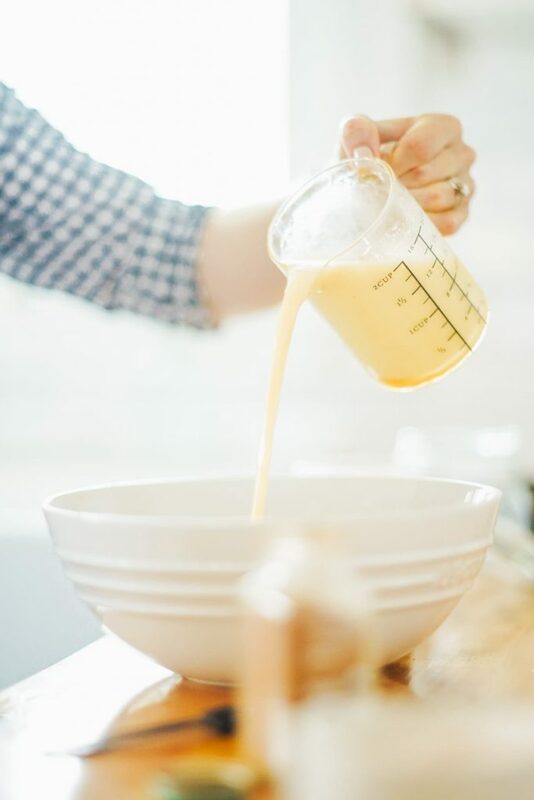 In a medium-size bowl, whisk the milk, eggs, vanilla extract, and sweetener of choice (honey or maple syrup). Add the wet ingredients to dry ingredients and stir to combine. Finally, stir in the melted coconut oil (or butter). 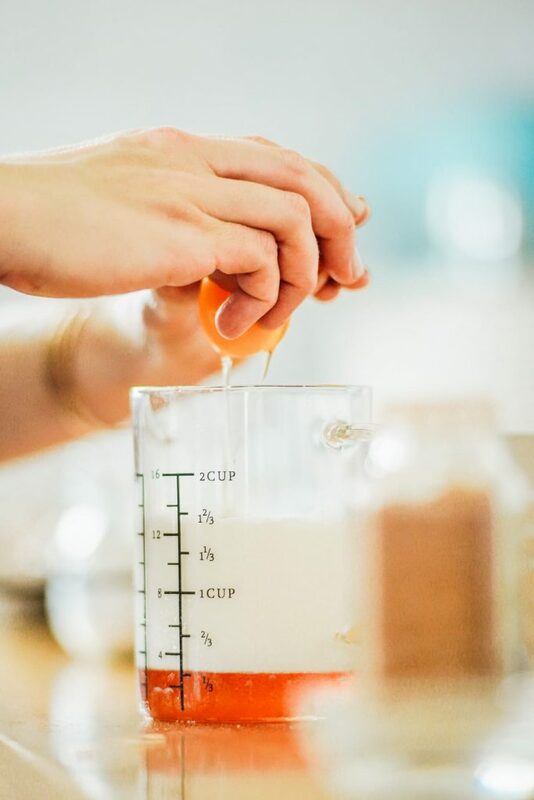 You don’t want to stir the coconut oil into the milk or you will have clumps--that's why we're adding it after the ingredients are mixed. Let the oatmeal rest for 5 minutes for the oats to absorb the liquids. 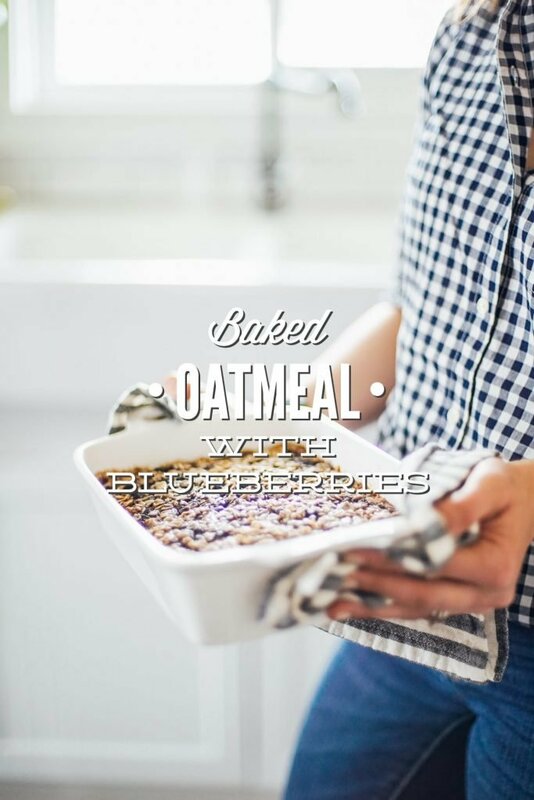 Gently fold the frozen blueberries into the oatmeal and pour into the prepared baking pan. Smooth out the top of the oatmeal with your spoon or the back of a measuring cup. Bake for 30-35 minutes, until the center is firm and edges are browned. *The amount of sweetener used will depend on your personal taste. For a sweeter oatmeal (although not overly sweet), I love 1/2 cup. If you want a oatmeal that's not sweet, 1/3 cup may work better for you. 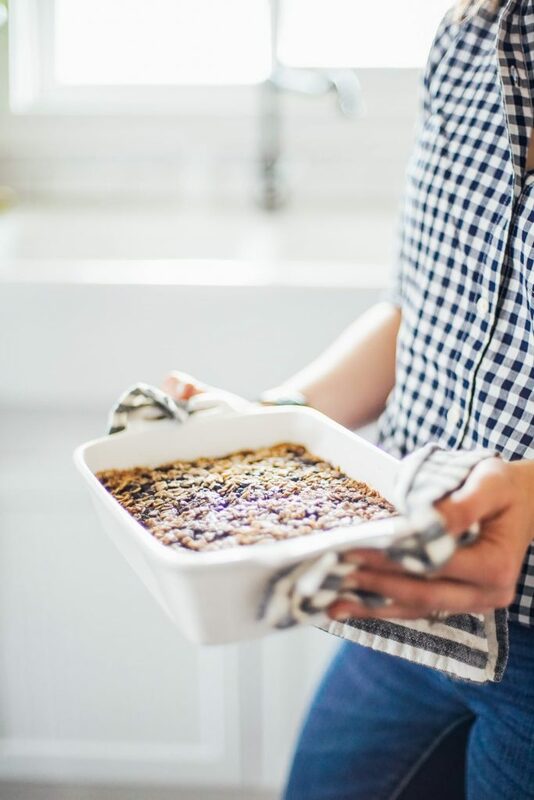 **While this recipe was tested and written as a baked blueberry oatmeal, the seasonal possibilities are endless. You could use chopped apples or banana slices, or try nuts or seeds, or maybe peaches. I think it will be fun to experiment with this recipe throughout the year. Egg-Free Option: If you want to make this an egg-free recipe, use flax eggs. I like 2 tablespoons of ground flax + 5 tablespoons of warm water, let sit for 5 minutes. 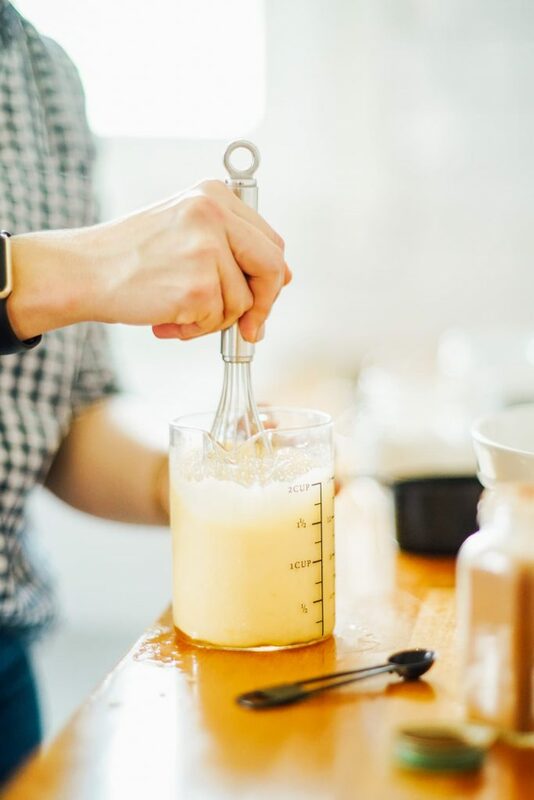 You will still want to follow the instructions above--after letting the flax sit to gel, it should be whisked into the milk. Apple cinnamon is my kids’ favorite choice. Could I make this the night before and pop it in the oven in the morning or would that not work well with the oats soaking up the liquid? Could I make it the night before and pop it in the oven in the morning or would that not work well with the oats soaking up the liquid? I’m so glad you loved it, Julie! That’s a good question. I’m not sure. It would be worth a try, but I would leave out the blueberries. Yay, Belinda. I’m so glad you enjoyed the oatmeal. The leftovers are so good! Did you make it with blueberries or use a different fruit? I did make it with frozen blueberries that we picked this past summer at a local family blueberry farm. So good! Question….how or what do you serve with it? Is that yogurt I see, or milk/cream? Thanks, Nicole. Yes, that’s yogurt. You can serve it alone, like a baked good, too. I was watching the oven the whole time waiting till I could try it! So delicious! I’m not usually a fan of baked oatmeal. I prefer creamy instant pot or stovetop oats but I figured it was worth a shot. The end result is so satisfying. 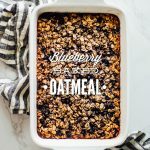 It’s not dry like most baked oats but is still sliceable and firmer than regular oatmeal. This will definitely be a regular breakfast addition. Thanks for another great recipe! If I wanted to soak my oatmeal before hand would I need to change any of the ingredients? Hey Emily, You could try. I don’t know if it will change the texture of the final dish since I haven’t tried soaking the oats. 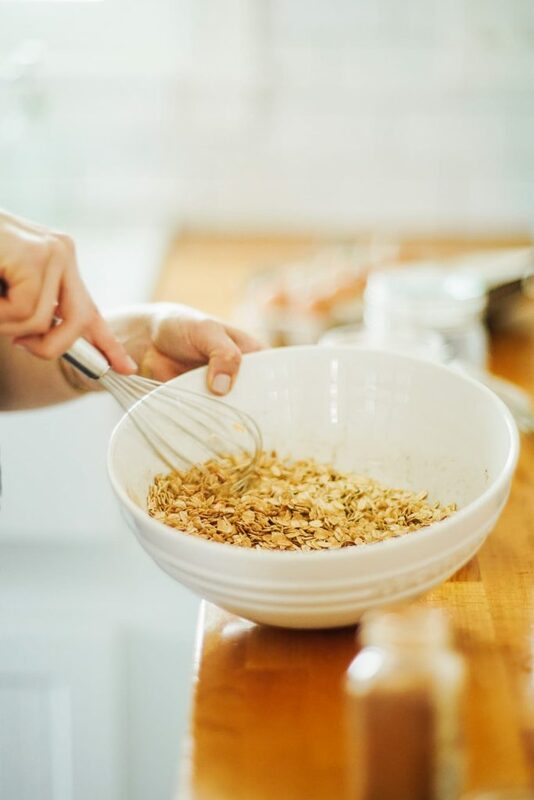 Another great option is to use something like One Degree brand sprouted oats, so you get the soaked benefits but without soaking. Let me know if you try soaking! This recipe is PERFECT! What a nice alternative to mushy, boring oatmeal! I’m so glad you’re loving the oatmeal, Trina! I agree, it’s a nice break from traditional oatmeal.